At Peach Garden, a meeting is more than just a meeting. We stage conducive environments that inspire ideas and creativity, and craft food that nourishes the heart and soul. Be it exclusive board meetings, product launches, presentations, team building events, or media conferences, we have hosted them all. Your meetings will be set up in one of our private rooms where the latest visual, audio and lighting systems are readily available. Our dedicated service team will attend to every detail and needs of your guests and delegates. Between breaks, your guests and delegates can enjoy the epicurean delights created by our renowned chefs. Lunches, tea breaks or dinners can be served right in your room for maximum convenience. 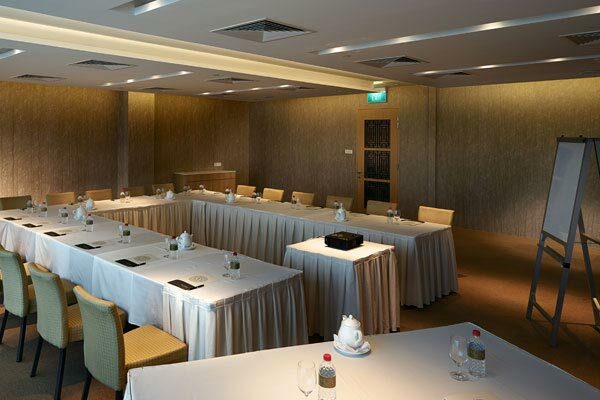 Select an ideal setting for your meeting from one of our two venues: OCBC Building, which offers a breathtaking aerial view, or Hotel Miramar, which features a lavish and elegant ambience. For event & private catering service enquiries, please email us at banquet@peachgarden.com.sg.